Amin Lakhani, President, Client Leadership, Mindshare India, added, “The third song in the life of 6 Pack Band 2.0 is a heartening take on friendship. Despite the fact that the society turns a blind eye towards these special kids, especially at the playground, these kids always find a way to make friends. This celebration of true friendship is stupendously encapsulated in Neha Kakkar’s melodious voice and the sweet moments of fun and fulfillment between our 6 lovely band members. 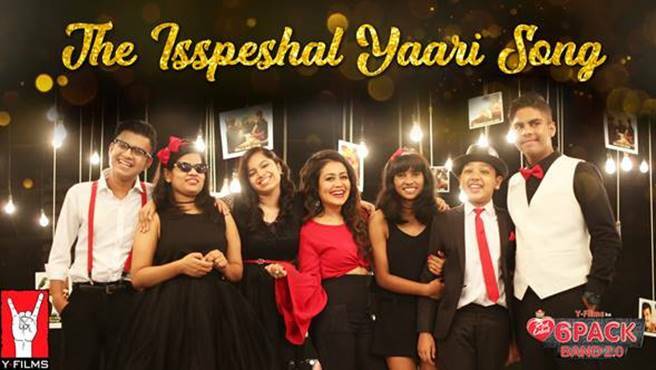 I’m sure this song will give you goosebumps and would encourage everyone to take that first step of friendship towards these truly ‘Isspeshal’! Y-Films ka Brooke Bond Red Label Band 2.0 features Ananya, Anjali, Maitreya, Parth, Prerna & Rishaan. The songs are written by Kumaar and composed by Shameer Tandon who is also the curator of the project. 6-Pack Band 2.0 is conceived & produced by Ashish Patil and this is their 3rd single and music video. The songs are showcased on Y-Films’ YouTube channel and available on all popular music platforms. Their previous collaborations include a launch by Karan Johar and a collaboration with Vishal Dadlani. There are 3 more singles to follow. Hopefully this campaign will help take one step forward in creating greater awareness for mental health & disability and push people to take the effort to make friends with people with special needs.